When we registered for wedding gifts, a lot of the list comprised of kitchen appliances. Mr. P wasn’t too thrilled, and I had to convince him why each one was necessary. Most of the convincing involved creating his favorite recipes with these appliances. I thought it would be fun to share some of our favorite recipes listed by appliance needed, so that others can use these recipes to help convince their spouse or significant other why a certain kitchen appliance is a necessity. Mr. P loves getting juice smoothies from Jamba Juice, Robek, etc. Personally, I balk every time I see those prices. For our wedding registry, I registered for a Blendtec. Though we didn’t get it, I was able to convince Mr. P that we should get one with our wedding gift cards. Since then, I’ve been making blending up smoothies, shakes, and anything else I can think of. 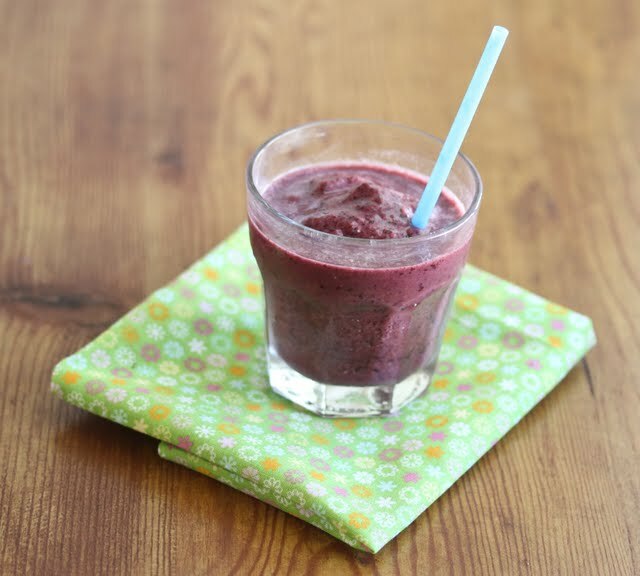 It’s been a lot of fun and one of his favorite drinks from the Blendtec is this healthy blueberry yogurt smoothie. It’s so easy to make at home, and saves a lot of money compared to buying a cup. 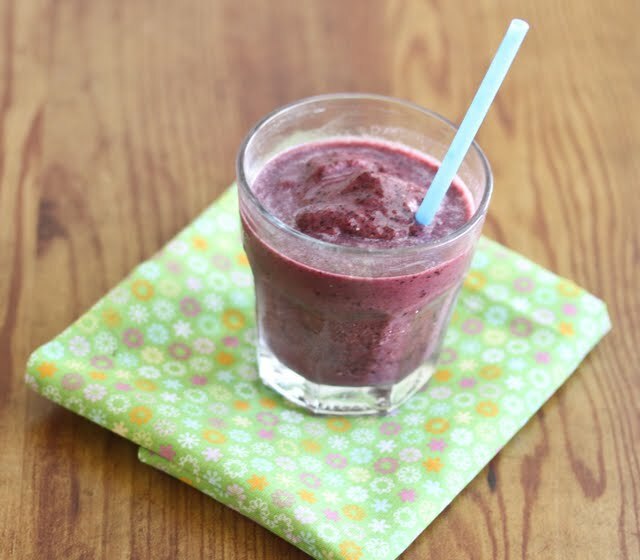 Blend all ingredients into blender until smooth. Having a high end blender really makes a difference for creating a very smooth, non-icy smoothie (hint hint).